Gutters are designed to channel excess water away from your home during rainstorms. This prevents water from accumulating on your roof and near your home’s foundation, but if your gutters are damaged or nonfunctional, water can seep into your home and cause thousands of dollars worth of damage. If you think you need professional gutter repair in Fort Myers, here are three problems to look out for. Clogged gutters are one of the most common problems in the country, and sometimes professional help will be needed. Over time, dirt and other debris can clog your gutters, trapping water and weighing down your roof. Clean gutters are especially important if you live in an area that receives frequent precipitation. To prevent this issue, Experts recommend having your gutters cleaned twice a year. If your downspouts are too close to your home’s foundation, excess water will simply be channeled into your basement. A company that specializes in gutter repair in Fort Myers can tell you whether or not you have this problem. If this happens to your home, you may be facing repair costs in excess of $10,000. You can easily circumvent this potential nightmare by having a Professional install gutter extensions. If your gutters are riddled with holes, they will be unable to fulfill their basic function. Holes and cracks can be caused by a variety of issues, and they can pose a serious threat to the integrity of your structure. 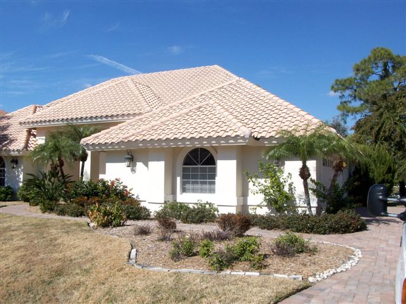 If you notice any holes or cracks in your gutters, you may want to consider professional gutter repair in Fort Myers. Simply put, all of these problems can be avoided with proper inspection and maintenance. It is easy to overlook your gutters, but they play a major role in protecting your home from water damage. When you take care of your gutters, you are also taking care of your entire home. The gutters on your home play an important part in keeping your house structurally sound. When an onslaught of rain beats your home consistently in a condensed amount of time, gutters help to filter the heavy droplets away from your roof and other areas that can easily be damaged by pooling water. Once enough water has collected on a roof, it can lead to problematic leaks and even the need to replace an entire roof. While there may be times you will need gutter repair in Fort Myers, FL, there are some ways that you can keep your gutters in great shape with some basic maintenance. Having your gutters cleaned regularly is a surewire way to see longer life from them. Leaves and other debris from nearby trees and plants can get stuck inside a gutter, preventing water from freely flowing through. When you notice that your gutters aren’t doing the proper job, it can be a good time for a cleaning. If you choose to clean the gutters yourself, it can be a good idea to inspect the area for any leaks. Noticing any problem areas during your regular maintenance can help you to know when it is the right time to invest in gutter repair in Fort Myers, FL. There are certain additions that you can make to your gutters to help yourself see more time from them. Gutter guards can help to catch and filter out some of the waste that makes clogs in your gutters. This can be helpful, but it still will not prevent certain damages that can be done to gutters, such as rust. Once corrosive marks begin to appear on your gutters, it means that you will need to call in the professional help of experts for gutter repair in Fort Myers, FL. When you are diligent about how you clean your gutters, you will be able to make the most of your home and keep the structural integrity of the building sound.